In any organization, Shadow IT can be a surreptitious affair. In today’s world, with the rapid migration to the cloud, it is difficult for IT to maintain control. Many organizations have already lost this control, as the days of dictating what employees will use in regards to devices and apps are largely behind us. With ease, employees can connect to corporate email, which basically houses everything vital to a company. The game seems over and it is imperative that IT goals change from the idea of control to one of enablement. The goal for all employees in the modern workplace is to find solutions that allow them to be faster and more efficient. Whether it is a specific app or device that helps them expand productivity, employees are moving forward without asking permission. This ultimately puts IT on the defense. So, how can IT take back the workplace and go on the offensive? Well, a cultural change is the first step, meaning a change in the overall role of IT. Getting ahead and acting as an enabler for employees is critical in changing the culture. It’s important to be open to receiving feedback from employees on what they will need to be more efficient, and then in turn seeking out the solution quickly. Going one step further, IT can know what employees will need well in advance, allowing them to integrate the solution into the workplace well in advance. If IT gets far enough ahead, a better deal or contract can be brokered with third-party solutions. Overall, the culture of IT needs to shift to more of a service organization within the entire company. How could any employee not be thrilled by having a skilled professional collecting all the tools they need for efficiency quicker and better than they can themselves? There is a lot more IT can do to prevent Shadow IT from taking hold. Employees look for limited friction when trying to connect to all the necessary IT resources, and ideally they could have true single sign-on for all of their devices and apps. With SSO is enabled, users will allow IT to keep track of the solutions that are being implemented with less stress. The process should entail IT taking part in connecting the app or device to the centralized identity structure. To further ensure that employees loop IT in on what they are thinking, it is crucial to build proper training and support mechanisms. Many users will be technically savvy enough to not need help setting up apps and devices, but they might require assistance going further. When IT is the source for helping users take full advantage of the technology, the respect and praise will come flooding in. Even when everything stated above does not stymie the growth of shadow IT, there are solutions you can seek out. 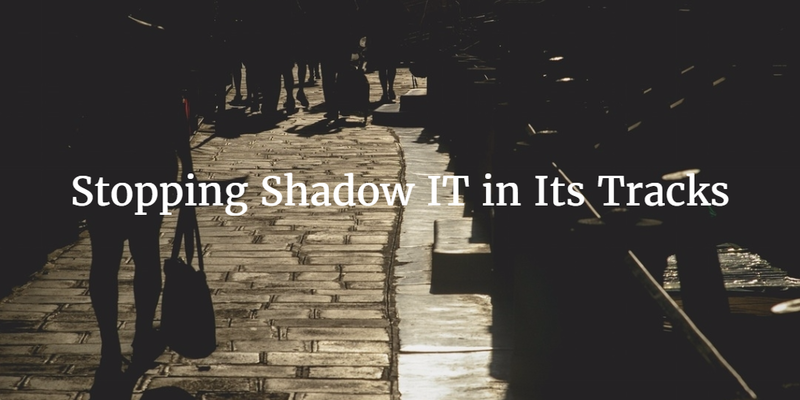 Enlisting the help of outside tools can help detect shadow IT and bring it to the table. These tools are adept at detecting the existence of non-corporate devices on internal networks. Going the extra yard, these solutions can also determine if employees are leveraging systems that haven’t been corporately purchased. In the end, if Shadow IT is found within the network, the best course of action may not be to immediately remove it. If the discovered component does not seriously breach security protocol, then it might be wise to accept it and attempt to incorporate it into the central IT organization. Overall, to prevent shadow IT from seeping into your organization it is imperative that change takes place and is purveyed to the masses. When IT is looked at as a partner in helping create an efficient workplace, there is less desire for employees to undermine the process. Cultivating the right culture, leveraging the right tools, and crafting an efficient processes makes the overall system efficient and agile. Shadow IT doesn’t need to be an issue for your organization, and eliminating it after it has already taken hold is a tough task to tackle. If you would like to learn how JumpCloud’s comprehensive Directory-as-a-ServiceⓇ can help you tackle shadow IT let us know here. 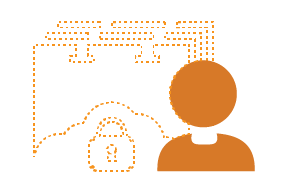 Also, visit our blog for more information on how a strong identity management solution can help control shadow IT.